Learn From The Fitness Industry's Top Experts, Earners, & Influencers! Fitness Business Summit 2018 is coming to San Diego, California March 16-18, 2018! 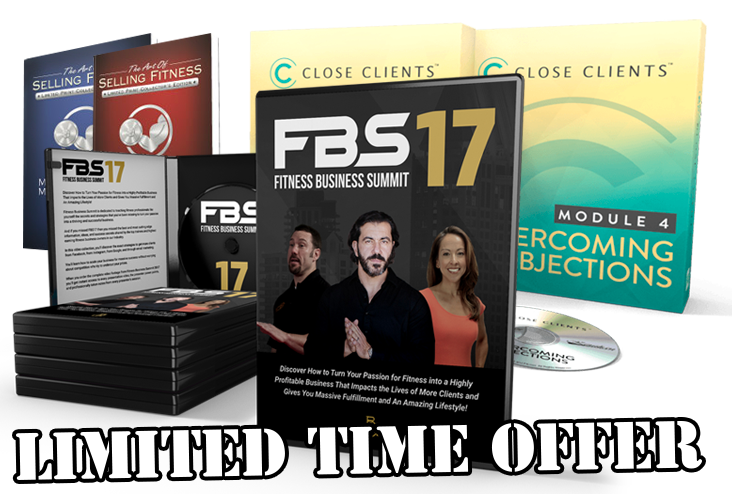 If you're a personal trainer or fitness coach and want to grow your personal training gym, fitness bootcamp, or online coaching business, then FBS 18 is for you! We have an amazing lineup of world-class speakers for this 3-day event—these are the top earning experts, gym owners, online coaches, and fitness influencers throughout the industry. Seats are extremely limited and this event will sell out! The fitness business landscape is changing faster than ever…Are you positioned to grow in these uncertain times or be left behind? Are you sick and tired of seeing the competition grow faster than your business? Do you feel like your business or your income is not growing as fast as it should? Competition is getting fiercer in the fitness industry, and if you're not caught up with the NEW ways to attract new clients and scale your business then you're going to get left behind. If you want to have massive success in your fitness business, make greater impact, and increase your income then you simply cannot afford to miss Fitness Business Summit 18! At FBS 18 you'll learn from the top earners, influencers, and experts throughout the fitness industry! Every speaker at Fitness Business Summit is personally vetted by me, Bedros Keuilian, and at the top of their game. You'll learn from multiple six figure and seven figure earning personal trainers, bootcamp owners, online fitness info marketers, and fitness and diet coaches. You'll discover new and more effective ways to differentiate yourself from your competition so that you can attract more clients and double, even triple your income! You'll also learn new and creative ways to quickly grow your social media following so that you can reach more people, get more clients, and impact more lives. IT MIGHT BE TOO LATE! Don't put off coming to FBS 18. Those who wait or procrastinate will lose and get eaten up by the competition. Action takers always win! Fitness Business Summit is the only place where you'll learn how to market your business, get more referrals, deliver better client results, and become the local expert and authority on fitness so that you're trusted by all—that's the only way to differentiate yourself so that you can finally earn what you're worth! Plus, you'll discover how to scale your business, build a high performance team, and create marketing systems that bring in clients by the boatload. I guarantee you this...the presenters at Fitness Business Summit 18 are a far cry from the "experts" and "gurus" who have flooded the internet making big promises without making good on any of it. When you come to Fitness Business Summit 18 you'll learn from REAL fitness pros, who are in the trenches killing it with their bootcamps, personal training gyms, cross training boxes, and online coaching businesses. You'll learn the exact systems, strategies, and tactics that the highest earning fitness pros use to build their massively successful fitness businesses. You'll learn from the TOP EARNERS—real trainers, real coaches who are making REAL money and crushing their competition. Best of all, you'll learn how to create a perfect work/life mix so that you really can have it all without feeling burned out and or going broke. Money, freedom, impact! Fitness Business Summit 18 will sell out soon, so be sure to reserve your seat now and take advantage of the low registration price while you still can! There is a system and a process to building a profitable fitness business through social media. You don't "need to know the right people" and you don't "need money to get started." You just need the right formula and the work ethic to make your dreams a reality. On this panel, you'll learn from four of the most famous fitness experts on social media who have used their platforms to build massively profitable businesses. 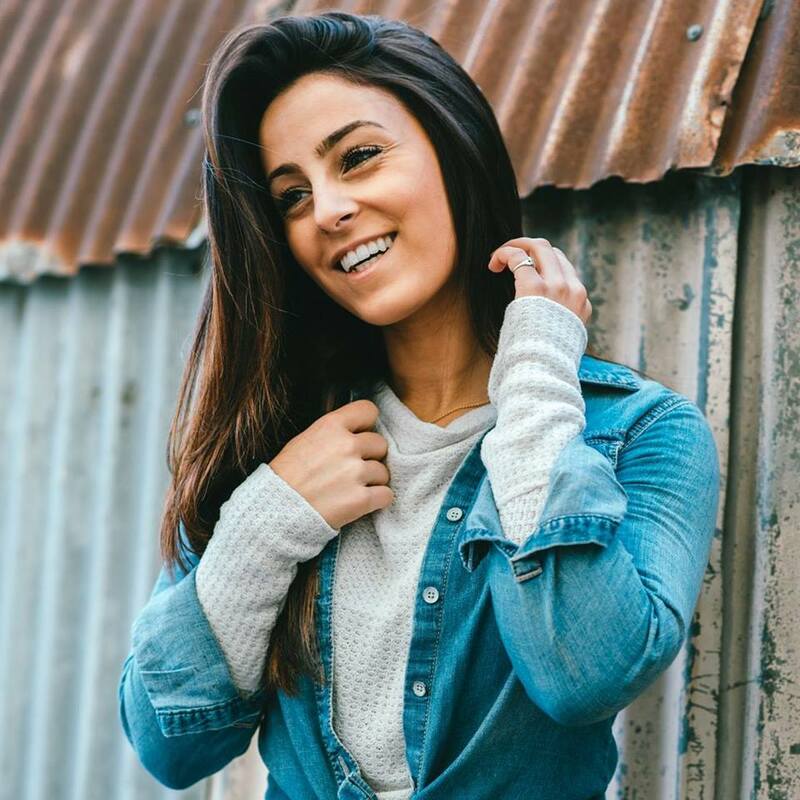 Amanda Bucci is the proud CEO and Founder of the Bucci Radio Podcast along with the Fitness Online Coaching Academy and the Influencer Academy. On this panel, she’ll teach you how to package your fitness program and personal brand in order to create a sustainable and thriving business. Brandon Carter is a certified personal trainer & nutritionist. Fitness model for Nike, Puma, Adidas, Men’s Health, and other major brands & CEO @ Bro Laboratories & High Life Clothing. On this panel, he’ll teach you how he built an enormous social media following and uses it to drive business. Mike “Titan” O’Hearn holds 4 Mr. Universe titles and was voted one of the 12 greatest physiques of all time by the fitness industry. Mike is a true champion, well-rounded athlete who has graced over 500 fitness covers (second to Arnold Schwarzenegger), actor and community ambassador. On this panel, he will teach you how to position yourself as a true fitness celebrity. Lori Harder is a leading expert in the field of fitness, transformational work, mindfulness, and self-love. Throughout her career, Lori has regularly appeared on the covers of and published articles for Oxygen Magazine, STRONG Fitness Magazine, Health & Fitness Magazine and Prosper Magazine. She has also been featured on NBC, Fox, and TLC networks. Who else is speaking at FBS 18? Tickets On Sale! SOLD OUT! But You Can Still Get the Live Stream Right Here! You missed your chance once already—reserve your spot now to get the strategies you need to double your income, differentiate yourself from the competition, and create a 6 or 7 figure fitness empire. What Does Livestream Access Include? Become the tip of the spear—with the strategies we’ll teach you at Fitness Business Summit, you can attract massive prospects, leads, and clients, dominate on social media, and grow your business faster than the competition can keep up. Why not treat yourself while you learn? Step outside and take in the stunning sunlit seascapes that only California can provide. Grab a bite to eat and even a few drinks in the trendy, glamorous Gaslamp Quarter. We made sure to choose this destination city so that you could have the best all-around experience at Fitness Business Summit. Speaking of, our official hotel is the Hilton San Diego Bayfront, a four-star luxury hotel right on the waterfront and only a five minute walk away from the Gaslamp Quarter. It’s the ultimate hub for visitors are ready to work hard and play hard! Come to Fitness Business Summit, and experience the business building and income boosting ideas, systems, strategies, and tactics. If you don’t agree that FBS will at least double your income and give you more freedom then just let us know and we’ll issue you a full refund on the spot. Fitness Business Summit is for personal trainers, fitness coaches, boot camp owners, gym owners, online coaches, and fitness professionals who want to make more money, get more clients, and impact more lives. What are the hours of event? Fitness Business Summit will run from 9 AM to 5 PM each day, with breakfast starting at 7:30 AM. The only required thing will be your FBS18 ticket. Tickets will be emailed shortly before the event. We also recommend you bring business casual wear for the networking dinner, and bring a swimsuit in case you want to enjoy the hotel pool. Do you guys offer group discounts? We do not offer group discounts. We’ll have our table open for Early Bird registration on Thursday from 6:00 PM to 8:00 PM and for open registration on Friday and Saturday from 7:30 AM to 9:00 AM. We have already organized our staffing for FBS, but we appreciate your offer to help! Is flash photography or videotaping allowed? We do not allow any photography or videotaping during the speaking sessions, but we encourage you to take personal photos and videos afterwards with our speakers and your fellow guests. We will also offer professional video recordings of each session for sale after the event. Group rates for the Hilton San Diego Bayfront are available here. Tickets are only online available from this site. Based on previous years’ attendance, we expect the event to sell out well in advance, so make sure you get your tickets as soon as possible. Do I need to buy a ticket for each day? Nope! Your ticket will cover all three days of the event. Your ticket will give you full access to everything but the invite-only Mastermind Dinner and the VIP Cocktail Party. You can get access to the Cocktail Party if you include the VIP upgrade on your ticket! What does live stream access include? What Is the FBS18 Refund Policy? As long as you show up on-site to experience Fitness Business Summit, you’re protected by the Fitness Business Summit Money-Back Guarantee! Come to Fitness Business Summit and experience the business building and income-boosting ideas, systems, strategies, and tactics. If you don’t agree that FBS will at least double your income and give you more freedom then just let us know and we’ll issue you a full refund on the spot. How Do I Change or Edit the Name on My Ticket? To change the name on the ticket, simply click the “Manage Tickets” button on the top right or bottom right corner of this page. Then, click on your order number or “View Order”. Then, click on the name of your ticket. From there, you can change the name on your ticket. If you need to send someone else in your place, you can use this same process and just change the name on the ticket to their name. Should I purchase a ticket to Fitness Business Summit 18? Yes, you should secure your ticket to Fitness Business Summit 18 because it's the absolute best way to separate your fitness business from the competition, cut through the noise of social media with a powerful marketing message, and attract the wild rush of clients you and only you deserve in 2018.